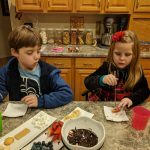 Chocolate Fondue is something that we do rarely but is really an easy and special dessert. 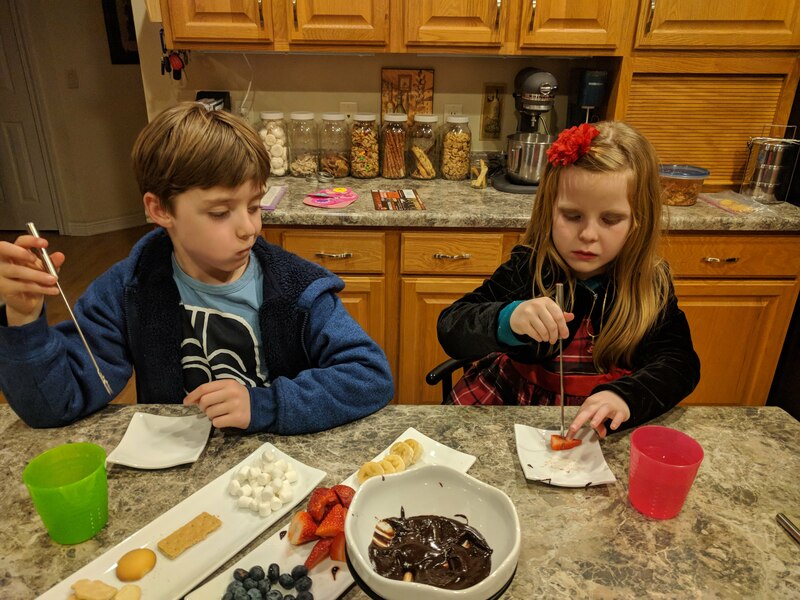 I make the fondue and keep in warm in a little chocolate fondue set that we have. It keeps the chocolate warm with a little tealight candle. Serve with any or all of these items, or come up with your own ideas to dip. We love strawberries, blueberries, bananas, pretzals, marshmallows, butter cookies, animal crackers, graham crackers and very rarely do have we done pound cake. Melt chocolate in a small sauce pan with a little cream added. I add about 1 tbsp at a time. Stir until melted and add another tbsp to see if creamy enough. Don’t over cook. Put into a fondue pot or into a small crock pot to serve.